You might be familiar with Snurk if you have been following Babyology for any length of time. We just can’t get enough of the fun and fabulous doona cover and pillow sets that this creative design team continues to produce. Dutch for “To Snore”, Snurk started out as a social justice program helping homeless youth in the Netherlands. 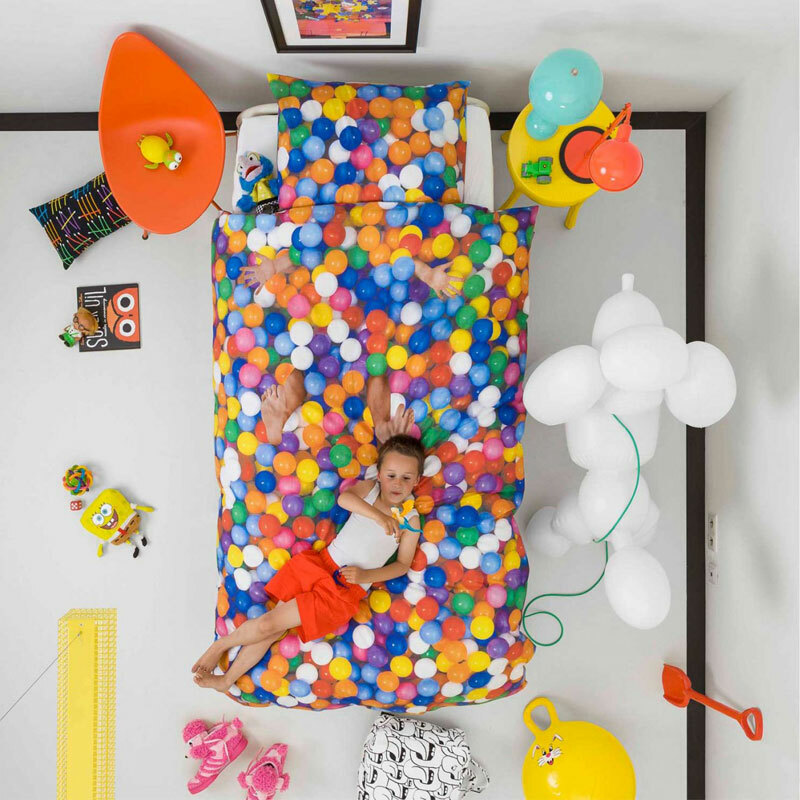 Their doona cover with a cardboard box print generated a hive of media attention and since then, their creative ideas have not missed a beat. The signature look in their kids range features pirates, astronauts, princesses and more all on a white background; perfectly positioned so that bed time becomes blurred with dress-up time. The latest releases from Snurk are super fun. Curl up in bed with some Furry Friends (pictured at the top) who will keep you company overnight and prepared for a midnight feast with their stash of acorns. Plie and stretch the night away as a ballerina in a special quilt cover created in collaboration with the Dutch National Ballet. 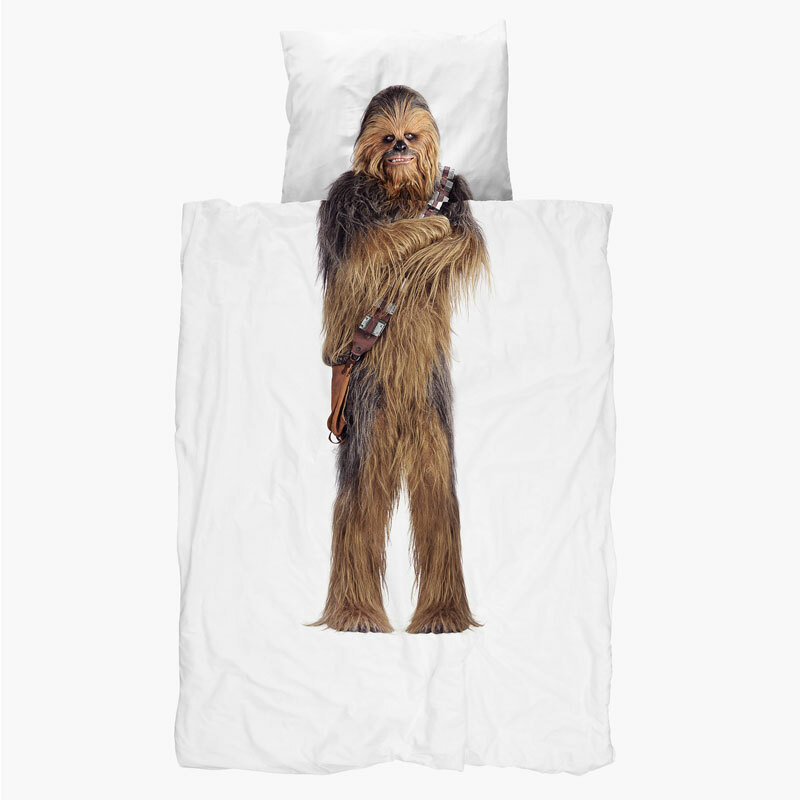 Star Wars fans will love channeling the force with lovable character Chewie. And if more colour is the order of the day then Snurk delivers in spades with The Ball Pit. Check out the full range of dreamtastic doona covers from the Snurk online store where single sets are priced at €60. They ship internationally but there is also a long list of local retailers, including Amara who stock a range of Snurk bedding starting at $101 for single bed covers.